This is my Mecca. If you know anything about me you know my love for the WWE. It’s far greater than my love for the packers. I fell in love when I was five and as the years go on my love grows stronger and stronger. I know it sounds like I’m talking about Lyssa but this is about my first true love. So naturally it made sense that I stop by Stamford, Connecticut on the way back from our Canadian road trip to visit this building. Beileve it or not, I had never gone before. 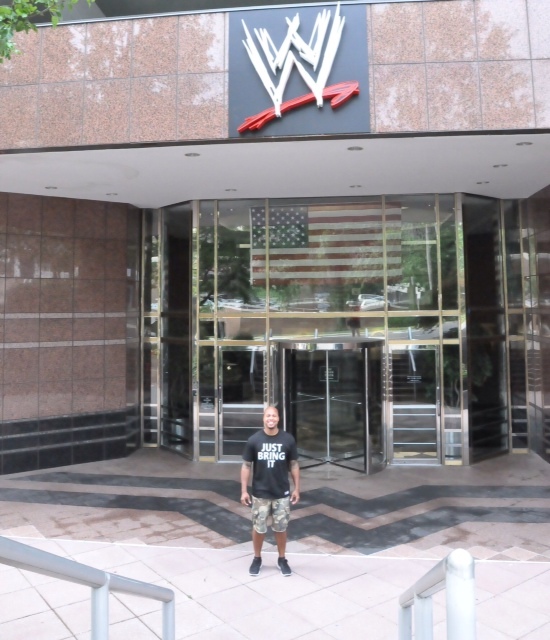 The WWE doesn’t offer tours which I knew before going so I was ok with that. Just seeing this building put tears in my eyes. I can’t explain the amazing feeling I had seeing the logo on top of the building.